I have been a Japan-o-phile for most of my life. I’m obsessed with Japanese culture and can’t get enough of everything Japanese, from the food, the technology and animae. As of this year I have been to Japan around 20 times. It’s a serious love! Every time I visit Japan I always discover something new and innovative that has been invented. A gadget for this and a tool for that, often the new invention is not that necessary but other times the Japanese really nail it! It’s no wonder the number one inventor in the world is Japanese. Yep, that’s right, not Edison or Einstein. Dr Yoshiro Nakamatsu holds a world-record with over 4000 patents. Nakamatsu, inventor of the floppy disk, has many inventions under his belt, perhaps the most interesting, a ‘wig for self defense’, a strip and a weight are attached to a wig. The wearer swings the wig to hit an attacker. Cue laugh here. Nakamatsu has offered the invention to Donald Trump. Cue histerical laughter here. Do yourself a favor and see the documentary, ‘The Invention of Nakamats’, Directed by Kaspar Astrup Schröder a great insight into the wacky life of the charismatic inventor. 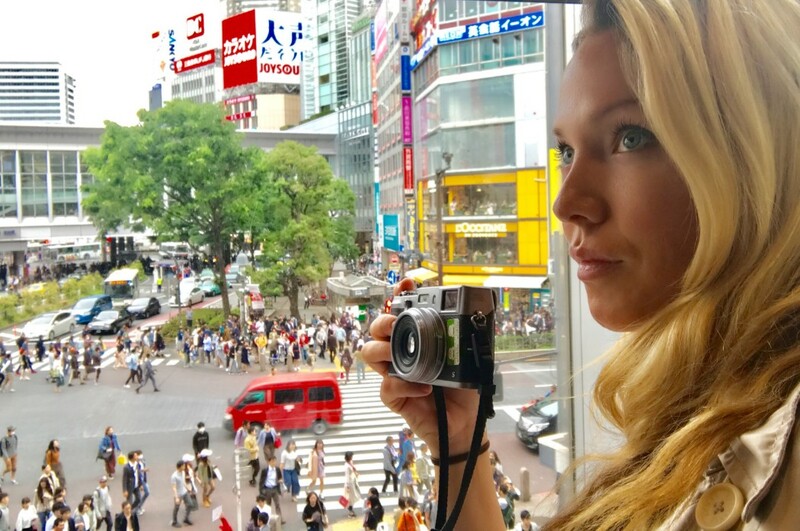 Even with the world of social media and online creating a seemingly ‘small world’ there are still things that remain distinctly Japanese that foreigners, like me, are amazed by. 1. Android Robots. Japanese invented robots that look and talk like humans. The latest innovation being a hotel run entirely by robots! I love Pepper, the robot, although he is not exactly a humanistic robot, he can respond to feelings. Pepper barely understands my Japanese. I still love him though! Super Kawaii!! I’ll share a clip of me talking with Pepper later! Side note: Pepper is used for everything from serving customers in banks, to helping the elderly exercise! Incredible. 2. Ramen. Named the greatest Japanese invention of the 20th Century. There are many different varieties of this delicious Japanese staple. Every region in Japan has it’s own unique variation. 3. Onsens. Onsens or what we call, hot springs, are one of the most traditional past times for Japanese. There’s nothing like Japanese onsen’s anywhere else in the world. The whole ritual of bathing in Japan is ethereal. 4. Izakaya. Japanese style ‘pub’. Australian’s have the reputation of drinking a lot, I think the Japanese could give Australians a run for their money. 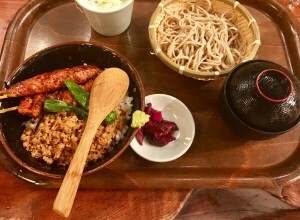 Drinking is part of the culture and it is not uncommon for Japanese people, both men and women to have an Izakaya that they visit daily after work. Not to sound unpatriotic, I much prefer an Izakaya over a western-style pub. 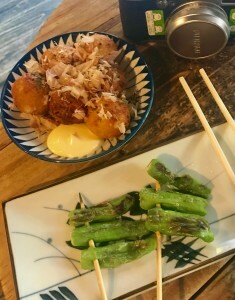 Izakayas offer an erray of tasty Japanese delicacies, like takoyaki and roasted shisho peppers, best shared with friends. Recommended watching: Netflix series ‘Midnight Diner’. I’m obsessed. I think I’ve watching that series three times already! 5. The Bullet Train. Probably one of the best inventions in the world, turning a six hour journey into a two hour one! Don’t miss a gourmet bento (lunch box) and a cold Asahi while you enjoy the impressively smooth journey. 6. Kotatsu. Basically a small table to eat at, study, work or just chill. Here’s the clicker, it’s heated from underneath, it’s a table and heated blanket in one! Cozy. 7. Animae. I only recently discovered why I adore animae like Miyazaki and Studio Ghibli. 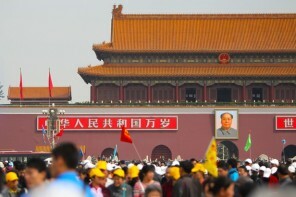 The themes have environment undertones which I love, and they are also nostalgic. It’s fantasy, yet the characters seem so familiar and real. 8. Kawaii Culture. Kawaii literally translates into ‘cute’ or ‘adorable’. After all this is the place where Hello Kitty hails from. Japanese people value cute things, from phone accessories, to personal style and even mannerisms which are ‘kawaii’. Google ‘Kawaii Culture Japan’ and you will find out more. 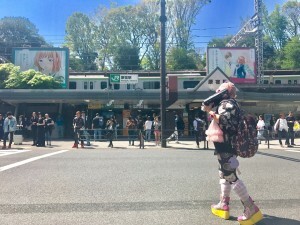 This cos-player is crossing the street at Harajuku Station. I just adored her whole getup, the fact she was carrying a boom box and totally rocking out was awesome! This is not an unfamiliar scene in Harajuku and Takashita St.
9. Automatic taxi doors. Even after many visits to Japan, I still find myself trying to close the taxi door out of habit. All taxi doors open and close by themselves in Japan so there’s no need. 10. Lining up at train stations. I love how organized everything in Japan. Even in Shinjuku station, Tokyo, the world’s busiest train station, people line up in an orderly way. Trains also run on time in Japan. 11. Automatic bidet style toilet seats. It’s beyond me why the west has not installed these everywhere like in Japan. Without going into detail, they just make sense. Even McDonalds has automatic toilet seats in Japan. 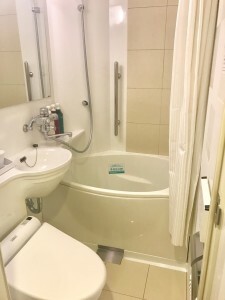 Don’t be fooled by the compact appearance of my hotel bathroom below. I assure you it’s as high-tech as they come. Not only is the toilet seat automatic, the bath turn off automatically when it’s full! 12. Customer service. There’s no other country that offers the same kind of customer service. Japanese people take great pride in their work and offer exceptional customer service. It would be unheard of to experience a rude waiter in Japan! Tipping is not customary either, so it’s not fake Hollywood-smile style customer service you get in other countries. 13. Vending machines. Yes we have vending machines in the West but they have nothing on Japanese vending machines. In some places you can get a hot meal out of a vending machine. Perhaps the best feature of Japanese vending machines, in my opinion, is the dispensing of hot coffee and green tea. My ritual every time I visit Japan, as soon as I get to the airport, is to get a vending machine dispensed hot green tea. Oishi! I could actually write a whole post on Japanese vending machines and how incredible they are! Stay tuned for that. You can literally find anything in a vending machine in Japan. 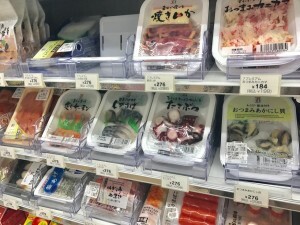 This pic above with perfectly packaged seafood delicacies was taken in a Tokyo convenience store or a ‘combi store’. You can find similar quality food items in a vending machine. More on the mind boggling quality of ‘combi store’ food later. Is there anything I have missed here? What are your favorite unique Japanese inventions?